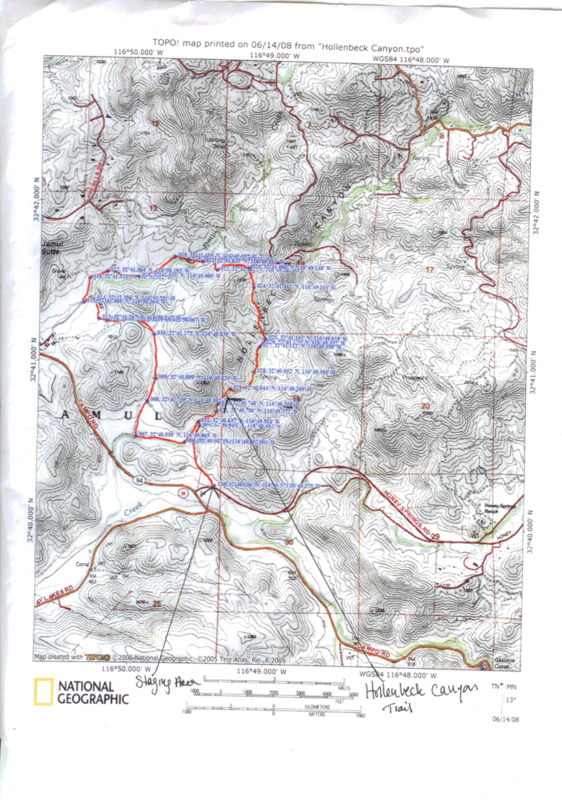 Length of Trail: Main loop – 6 miles, with shortcut loops of 3 and 5 miles and extended Burnt Olive Grove Loop of 12 miles. Staging Area: The staging area is located on Honey Springs Road, a hundred feet or so east of Highway 94 in Jamul. There is parking for 5-10 trailers. There is a Portapotty available. There are no corrals. 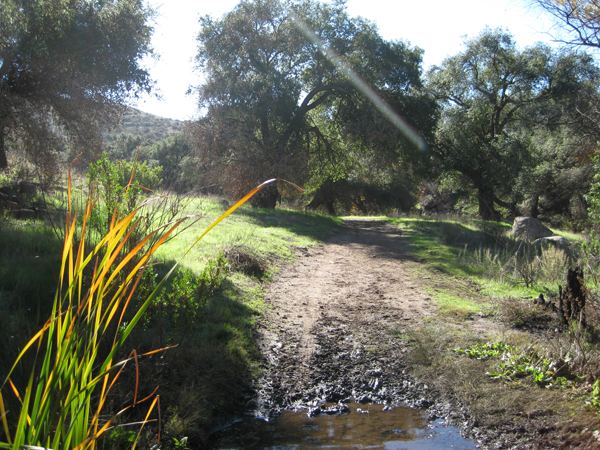 Water: There is no water at the staging area, but there is a water trough on the trail and several seasonal streams. For most of the year, horses have to be willing to cross water for the 6 mile loop. Trail Conditions: Easy to moderate. 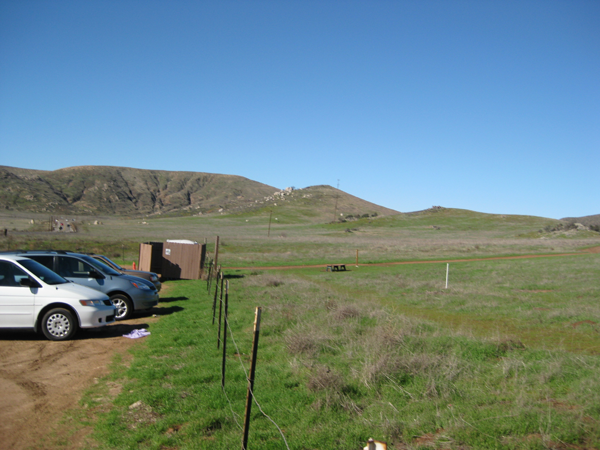 Mostly wide trails – fire roads with some single track trails. The trail is well marked and easy to follow. There are a couple of rather steep long hills on the 6 mile loop. 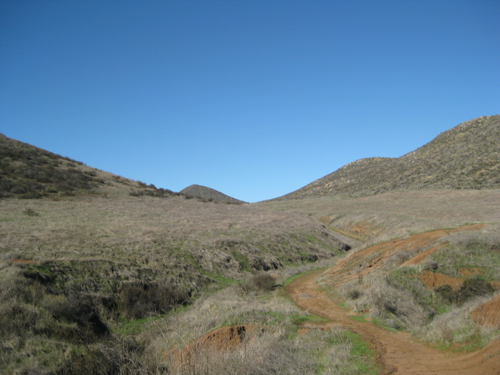 General Trail Info: Hollenbeck Canyon was part of the extensive Daley Ranch and was acquired several years ago by California Department of Fish and Game. Thanks to Supervisor Jacob and the efforts of various hunting and trail groups, this trail is now open to the public. 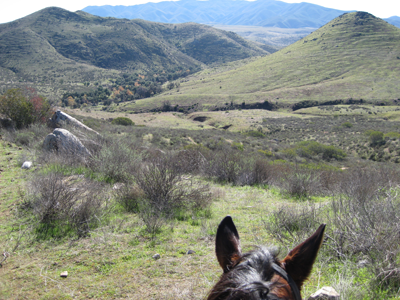 This trail was part of the California Riding and Hiking Trail and there are current efforts to revive or reroute the trail where needed. There are a couple of CRHT markers on the trail. 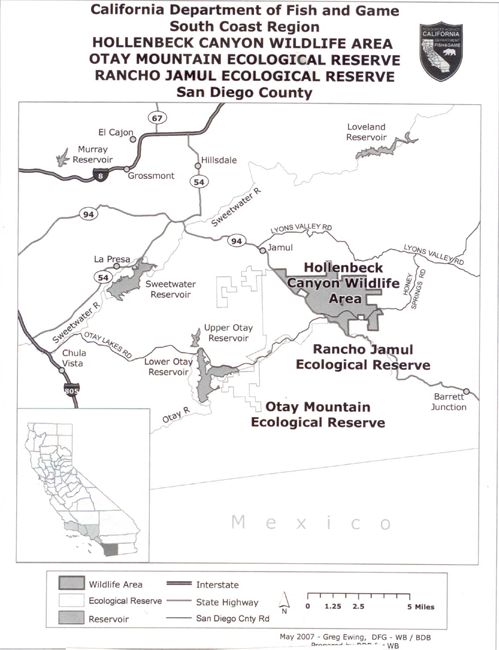 The 3,200 acre wildlife area provides a wildlife corridor between Otay Mountain and Jamul mountains. 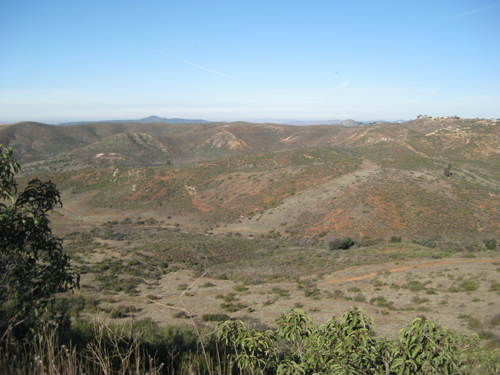 Habitat includes coastal sage scrub, chaparral, oak woodlands, riparian forests, freshwater marshes and grasslands. Elevation ranges from a low of 750' to 2,100' at the highest peak. 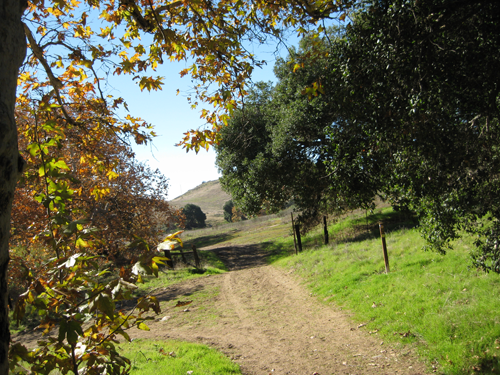 The trail is a beautiful 6 mile loop which can be extended. There are woods, streams, open land and some beautiful views in all directions. The trail is well marked and easy to follow. You travel along a fire road for at least half of the route. There are a couple of seasonal streams, which in winter can be a little tricky to get around, so your horse should be able to cross water. There are also several fairly steep hills, the steepest of which you can avoid by taking a trail to the side of it.